Der Artikel The Vagoos: Psychic Action wurde in den Warenkorb gelegt. A garage psych phenomenon from Germany. 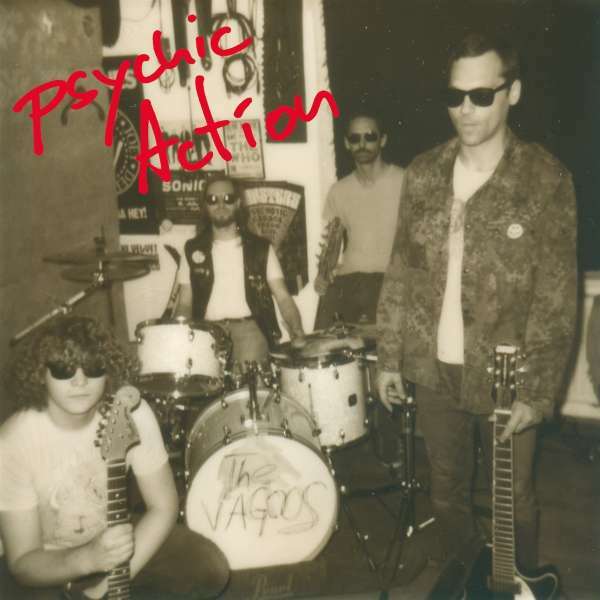 The Vagoos combine Garage Rock with Surf Psych and a sharp Punk attitude to something they once called »Acid Punk« but they might be already beyond that. After their eponymous debut on Off Label Records, they released an EP that sounded somewhat like a psyched out turn on »the early Beatles in Punk« – the following year their 2nd LP »Heat Wave« was released, which is a fast paced record with heavy reverberation, fuzz and Surf guitars. Their latest album »Psychic Action« is for sure the most trippy one, even a little krautish... hypnotic riffs over straight minimalistic beats. Available on 12inch vinyl since October 2018 via Off Label Records.